The Virginia Supreme Court said Roanoke police investigators failed to reveal evidence to prosecutors. ROANOKE, VA — A former federal drug agent found guilty of voluntary manslaughter in Roanoke will get a new trial. In an opinion released Friday, the Virginia Supreme Court overturned Timothy Glenn Workman’s conviction in the 2002 killing of Keith Edward Bailey in the parking lot of a restaurant. The unanimous ruling states that Roanoke police investigators failed to provide prosecutors with a witness statement that could have strengthened Workman’s claim of self-defense. Because prosecutors didn’t have the statement, Workman’s attorneys didn’t learn of it until after the trial, the opinion states. Workman, 36, has been out on an appeal bond since his October 2003 sentencing to six years and nine months in prison. He has been working in private security in Afghanistan and Iraq. Most recently he has been in Colorado awaiting the outcome of the appeal, said his defense attorney, Tony Anderson. Originally Workman faced a first-degree murder charge, but the jury reduced the charge to voluntary manslaughter. He cannot be tried again on the murder charge. According to court evidence, just after 2 a.m. on Feb. 12, 2002, Workman walked a woman he’d met at O’Charley’s on Valley View Boulevard to her car in the parking lot. As Workman sat in her car, Bailey and James Albert Bumbry pulled up and motioned for the woman to roll down her window. Bailey and Bumbry questioned why she was with Workman, who testified that he “flipped the finger” at the two men. The two men got out of their car. Workman, an off-duty Drug Enforcement Administration agent from Texas, pulled a gun from his ankle holster and put it in his back pocket. He testified that he opened the door of the woman’s car and told Bailey and Bumbry to get back into theirs. Instead, Bailey grabbed him by the throat, he said. Workman claimed in court that as he struggled with Bailey, he saw Bumbry pull a gun. Bumbry denied having a gun that night. Workman pulled his gun, Bailey tried to take it from him, and in the ensuing struggle he shot Bailey point-blank three times, according to evidence. The Supreme Court opinion centered on a statement made by Jerry Lee Mackey Jr. to police prior to the trial. Mackey told police that he’d heard from another man that Bumbry had tried to pass a gun to Bailey during the struggle. Mackey made the statements to Roanoke Investigator M.E. Meador and police Officer Kenneth Garrett as they interviewed him for a criminal case unrelated to Bailey’s death. After the trial, a private investigator working for the defense interviewed Mackey, which led to more witness descriptions of Bumbry firing a gun. The Supreme Court justices contended that this evidence could have been used to attack the credibility of Bumbry’s assertion that he was unarmed. 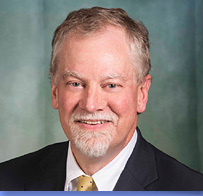 Though defendants often claim that evidence not available at trial would have made a difference in the outcome of their case, it’s rare that the Virginia Supreme Court agrees, said Steven Emmert, chairman of the Virginia State Bar’s appellate practice committee. Mackey’s statement “would have been a powerful tool for the defense not for its truth but rather to support its contention that police investigation was inadequate,” the opinion states. Caldwell said the case highlights the heavy burden on law enforcement to make sure all evidence in a case is available to the prosecutor. Anderson said that Garrett didn’t tell the defense about Mackey’s statement until after the trial. As to the idea that the new evidence wouldn’t make much difference, “I think seven justices on the Supreme Court disagreed with that,” Anderson said. Jon Kaufman, the jury foreman at Workman’s trial, said Friday that debate in the jury room focused not on Bumbry’s reliability, but on what Workman could have done in the situation other than shoot Bailey point-blank. During the emotional deliberations, the jury was divided into three camps. Some wanted to put Workman away for 25 years, some wanted to let him go and others took the middle ground. “I think when we came to a conclusion, no one felt really good about it,” he said. Kaufman said that he’s disturbed that Workman never served any prison time after the verdict. “It seems to me that he’s going to get away scot-free on this,” he said. In the new trial, the defense will be allowed to use the new evidence. But it’s also possible Workman could receive a harsher sentence if he’s found guilty again. Voluntary manslaughter carries a maximum possible punishment of 10 years in prison.